Can you smell the anti-climax sighing through the atmosphere!? 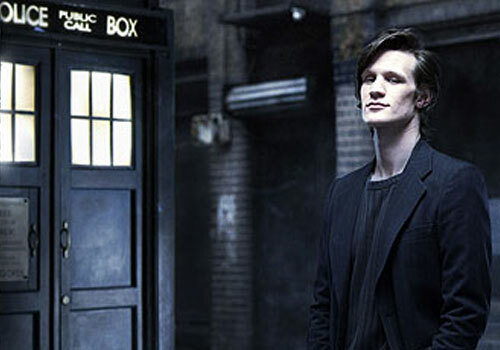 The 11th Doctor is…Matt Smith? I can’t tell you much about the young man that hasn’t been routinely summarized everywhere elsewhere….except for the apparent fact, which I will seek to further research and therefore confirm, that he is indeed neither Bill Nighy or James Nesbitt both of whom I nearly insisted on being the next Doctor Who. Was the BBC not listening…? Furthermore…and petulantly…I take note that he will be the youngest 903 year-old Time Lord, aged 26, only a year younger than I and so I grow unconscionably jealous stating that the actor’s facial structure reminds me of a young John Merrick which will necessitate every show having to deal with some Elephant Man plot of alien cosmetics gone wrong. Oh no. That’s terrible and not true at all…but I feel better, damn you! Much like the flu, hopefully, I’ve slept off whatever resentment and disappointment I originally had upon hearing the news. What I did not sleep off was the absurd embarrassment and emptiness of having spent an hour and a half or so watching a movie called Outsourced, which is very much simply an alright comedy, in which Matt Smith acted not at all. I don’t have much of his work available to me, but in searching his name on Netflix and confirming the proper identity with a known project of his, Ruby in the Smoke, I went forward with some confidence that he would be in this movie as well. If this is any indication of Matt Smith’s overall acting approach, perhaps he won’t be in Doctor Who at all either. With nothing more to guide my opinion than the above picture and this interview snippet, I do hope they keep the general style featured in the promos which promise the potential of a somewhat darker tone. This, I would find much more preferable than the fear of what the video segments promote; that this choice may in large part have been made to replace David Tennant with a somewhat equally caffeinated younger version of the actor…different for sure…but how much? They best not have to pin a vegetable to his shirt to differentiate him. But I think that this is at worst only a fear and respectfully trust executive producer Steven Moffat and Matt Smith to develop a rich and unique version of the Doctor in the year that they have at their disposal. And we should certainly fear not…for even if at the very last moment it is deemed not to work, they may so easily outsource the position to me as I am ever ready, willing and able to grab that role like sexual alien amusement ride it is.